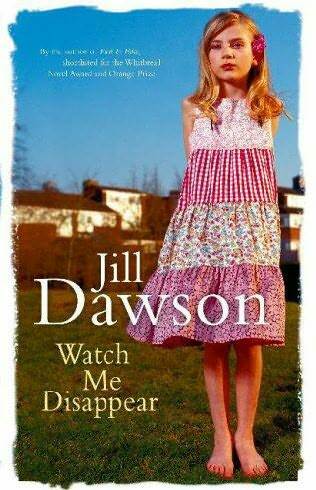 Watch Me Disappear by Jill Dawson is a fiction story that was recommended to me by a friend. It isn’t a story that I would have picked off the shelf myself and that only made the experience of reading it richer as the story unfolded and I became more and more hooked. Thirty years on, she comes sharply back to life in the mind’s eye of her childhood friend, Tina Humber, who has done her best to put the past behind her. But now, as Tina returns home for a family wedding, she replays her memories in search of what happened, fearing that deep down she has always known who killed Mandy Baker. In this subtle, moodily atmospheric novel, Jill Dawson explores the line between innocent and perverted desire, and that volatile stage when young girls become aware of their attractions, but do not grasp the dangers. This isn’t a book for a light and fluffy afternoon read, its a very real, and raw, account of paedophilia, from the perspective of the child (as an adult looking back). It is uncomfortable in places and takes a brave plunge into a topic that it would be easier to avoid in this day and age. It is contextualised around the disappearance of the Soham girls, although this is never stated explicitly, and it is a very poignant story at the moment with the April Jones story in the news. When I started to read Watch Me Disappear I wasn’t convinced I would enjoy it; not due to the subject matter but because the writing was very descriptive – more descriptive than I like in a novel. I can better imagine a story when a novelist concentrates more on the characters than the surroundings but what this book did was within a few pages, I was working on my own novel. That in itself told me this book was worth persevering with. Having never lived nor visited the area of England that this book was set in, and not having had a daughter, I found it quite hard to relate to the story. For about the first third of the book, it felt quite slow and a few times I nearly gave up. However, I am on a quest to read 101 books and I want to finish all the books I start this year, so I continued. I found that once I hit the second section of the book (there are no chapters, only three sections), the story became less descriptive in places, and because I’d gotten to know a bit about the characters involved I engaged with the author more. It was just over half way through when I suddenly decided that I could not put this book down. Despite the slow start, it is clear that Dawson is a very skilled writer. As the story unfolds it becomes clear where it is going but retains mystery because you do not know how the characters will react to unfolding events. I felt I learnt some key writing skills throughout this novel, and I also understood people better as a result. It showed me that no matter what people go through, they have an innate capacity for coping with any situation; the survival instinct is in every one, no matter how little or much they are affected by an event. If you were born in the 1970’s in England you will especially like this novel. The story is told from memory and the finer details of material things from that era really opened up my own memory resources and took me back to a more simple, innocent time with reminders of Girl’s World, flowery wallpaper and certain television programmes (among many other things). If you have a daughter, or you know a young girl – or if you were a young girl once then this is a novel worth reading. It is my opinion that my brain and my understanding of humanity is richer for completing this book. It is intelligent, skillful, raw, entertaining, informative, educational and inspiring.